and gem grid, and interacting with several Master Galactic and Seraphim groups. With the reunion of body, mind, and spirit to cleanse and raise the vibration of the mind and physical body to such a degree that they were reunited with Higher Self–all which occurred through the Lightarian Buddhic Track and Lightarian Angel Track programs–we are ready to expand our usage of the Crystal Skull, the Blue Flame of Wholeness, and the Unified Heart Chakra, as well as learn how to connect with the gem grid and navigate different dimensions, all with the help of our etheric friends. Beings from other galaxies, dimensions, and energetic makeups have reached out to support and aid us in our human/global transformation. Aspects of two Seraphim groups, Seraphim C and Seraphim K, along with the Master ET energies of the Arcturians, Sirians, and Pleiadians, and other dimensional beings have come forward to offer humanity ways to unlock the new dimensional realities, enhance the connection of the physical body with the Lightarian Gem Grid, and improve their relationships with those on the Earth plane. Together, they have inspired unique gateway modalities which focus on the recoding and utilisation of cellular coding within the physical body. 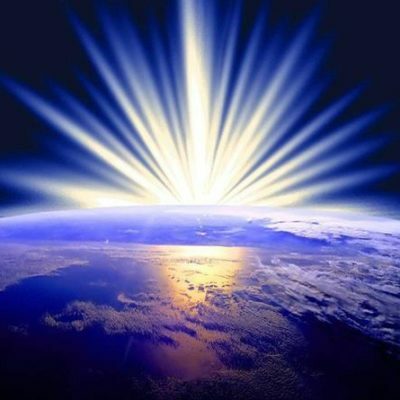 We begin with the Crystalline Gateway, used as a platform to five other levels which will connect us to the gem grid and provide us with access to other dimensional realities. Level 1 – Crystalline Gateway, awakening to a greater sense of who you are and Awakening to a greater sense of your purpose here at this time. Level 2 – Ruby Gateway, inspired by the Arcturians. It focuses on infusing the physical body with the ability to draw forth, transform, and materialize what is on the Earth plane by enhancing your brain development and its connection with the Unified Heart Chakra. Level 3 – Blue Apatite Gateway, inspired by the Sirians. It focuses on fine-tuning your personal vibration and infusing the physical body with the ability to collaborate and connect to the whole. The Sirians have stepped forward to build upon the work from Seraphim K by providing information and assistance with the harmonization and connectivity of the cells in the body. with the Crystal Skull and the crown chakra. Level 5 – Citrine Quartz Gateway, inspired by the energies of angelic beings from the 7th and 8th dimensions. Although they have no actual name, we have been given permission to call them the group Aurora. They will focus on fine-tuning your personal vibration and infusing the physical body with the ability to differentiate and move among the dimensional realities. Level 6 – Gem Grid Gateway. The group Aurora and the Seraphim have stepped forward to provide us with energetic support as we work to activate the Lightarian Gem Grid. In this level you will have the opportunity to connect with other like-minded beings across the globe and throughout the dimensions without having to be in the same space. You will become an interdimensional being in its purest sense. These six forms of energy work have been inspired and channelled from those beings mentioned above as well as Star Arinae, other Master ET energies, and other energies from different realms. All of these forms of energy work attune recipients with the energies of the mentioned Masters, and they create direct, personal energetic connections between them and the recipient of the particular Gateway. NOTE: The BuddhicTrack and the Angel Track programs are prerequisites for receiving the Gateway program. The Ascended Master Track is recommended.